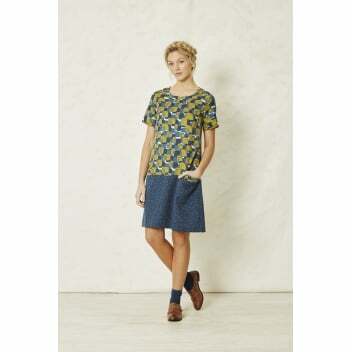 We love the print on this dress, cool and contemporary, it is certain to win you some style points. Crafted from a tencel mix, the fabric is soft and floaty. The shape of the dress is lovely. Slightly boxy, it skims the figure to create a smooth and sleek silhouette. The dress is a nice length too, falling just above the knee. Simply style with your favourite brogues for a sleek and modern look.